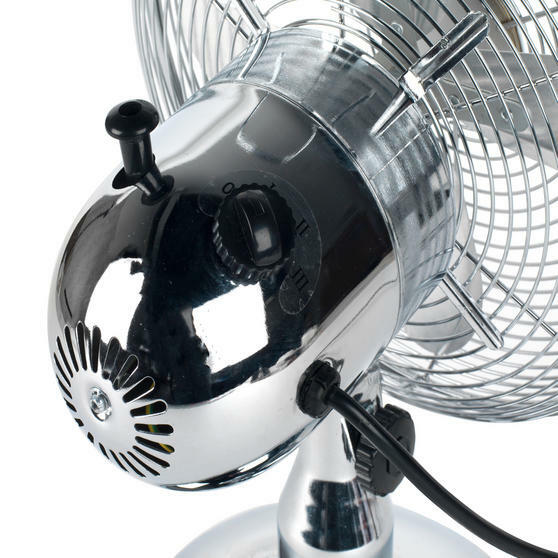 The Beldray stainless steel fan has three speed settings you can adjust, the highest one giving a powerful cooling breeze with the other two giving a gentler refreshing breeze. The fan also has a convenient oscillating function so the fan turns to provide fresh air around the room. Measuring 24w x 39h cm, the fan is the perfect size to sit on your desk at work. Made from high quality stainless steel with four durable aluminium blades, this fan will last even with everyday use. 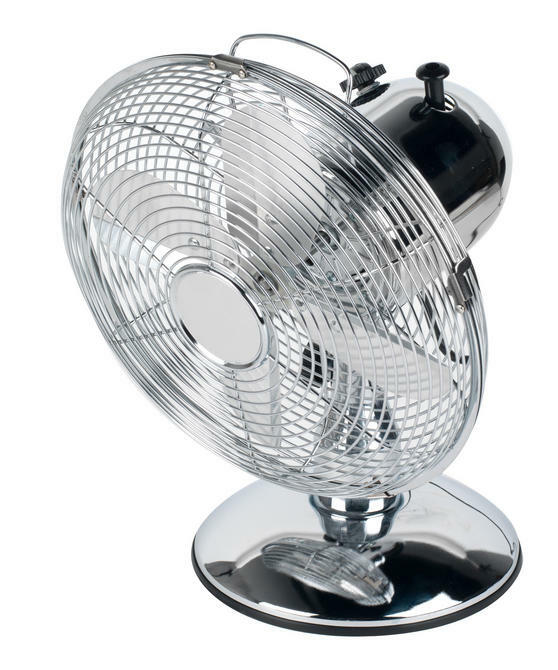 Perfect for summer, this Beldray stainless steel fan has a sturdy base ensuring the fan is stable and stands securely on any surface. 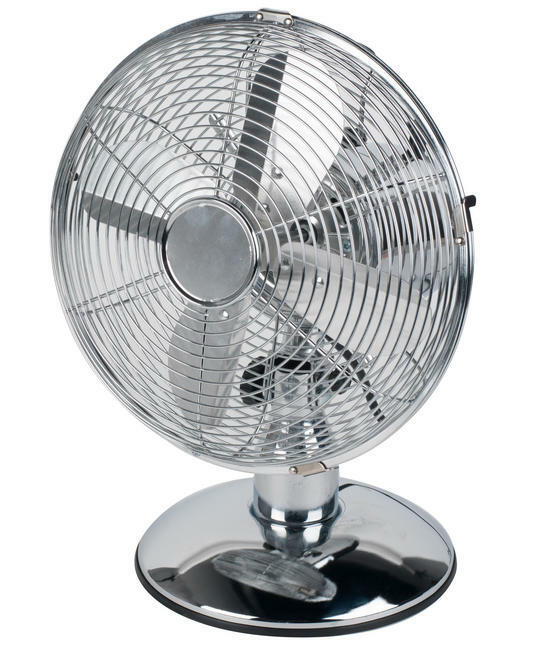 The fan is conveniently sized to sit on a table top, shelf or desk and with the stylish brushed steel finish, it looks great too. Made from high quality stainless steel, the fan has four durable aluminium blades that you can trust to last even with everyday usage. With four powerful aluminium blades the fan gives a strong breeze, the blades are safely behind a steel guard to protect your fingers.